The bombshell news today is that radio active material, which can be used for a dirty bomb, is missing. 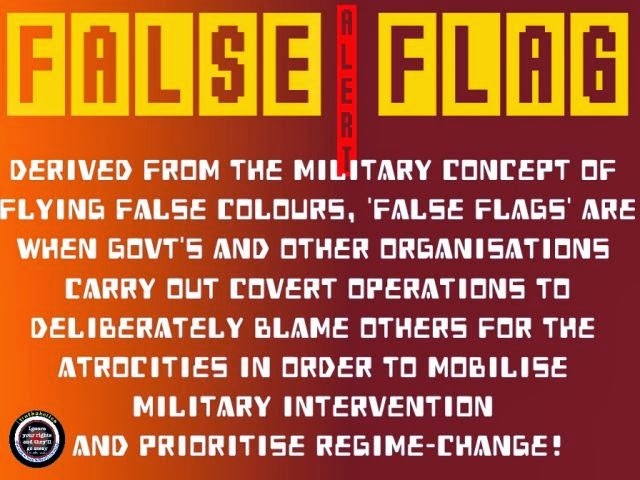 As Dave from X22Report has been warning for quite a while now, the stage is set now for the next false flag attack right as the dollar is weakened to the point of collapse. “140 cases of missing or unauthorized use of nuclear and radioactive material were reported to the United Nations atomic agency in 2013, according to the International Atomic Energy Agency (IAEA)” reports AlJareeza America. Dave speaks more about the types of threats this radioactive material poses at the end of the video below. The unemployment rate for American military is reaching staggering levels. The housing boom is ready to go bust. The Government is rewriting the Bill of Rights to teach future generations that gun registration is part of that the 2nd Amendment. The U.S. promises 54 different countries that the U.S. will go to war for them. As the central bankers/U.S. government provokes Russia, Russia might decide to bypass the dollar in every oil transaction which would collapse the Dollar. The central bankers/U.S. government are using the propaganda to make everyone believe the SEA is continually cyber attacking the U.S. There is now missing radio active material and this material could be used in a dirty nuclear bomb.